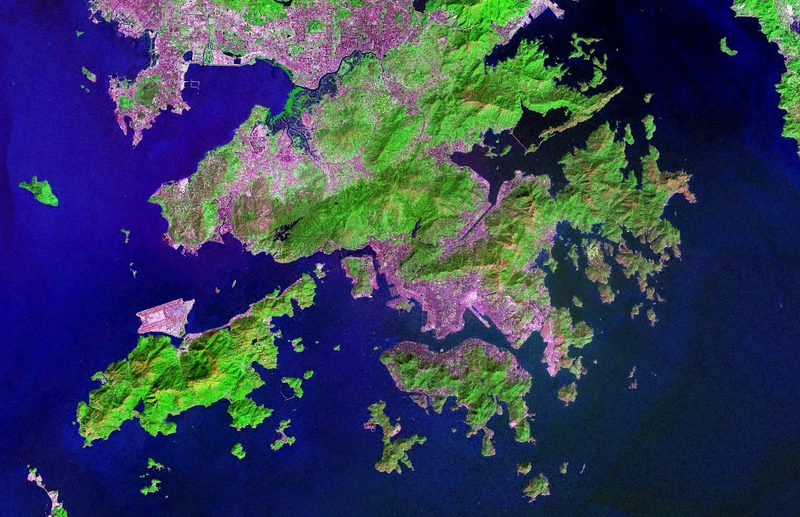 Hong Kong as seen from space. Hong Kong island is on the lower right. As the age old song says, the only way is up! Hong Kong has more skyscrapers than New York city. It’s a nation of building sites. My office sways each morning and afternoon as the pile driver on the construction site next door booms away to reach bedrock. I’ve been in Hong Kong so long I find the incredibly loud noise oddly reassuring. “Hong Kong will be a lovely city when they finish building,” said my former colleague Noel Parrott. Bu there are only so many building sites – and only so much land that can be reclaimed. Top grade office space in Central has been more or less the same for years. That’s forcing more offices to look elsewhere. The Wall Street Journal reports of companies taking space in Kowloon and the New Territories. In Hong Kong we grow spoiled by the proximity. I leave work 15 minutes before I need to be at an appointment in Central. I use the extra 5 minutes to run an errand or stop by the bank. I’m still early. In the late 1990s we lived in Midlevels, I worked in Lan Kwai Fung and my gym was in Admiralty. That may sound like a wide range of locales. Instead it was a triangle less that 1 km on each side. I got claustrophobic. Today I live in Clearwater Bay which is New Territories for beginners. Our address may end in NT and there may be wild boar and monkeys in our neighbourhood, but we’re only 20 minutes from the island. I leave home at 7:00 am and can be at work in 30 minutes. Yet when I tell people I live “off island” I get looks of disbelief and small gasps. “How do you handle the commute?” everyone wonders. It’s 30 minutes max. Tell that to a New York executive living in New Jersey. But I do need to confess. Even I was a little freaked by such a lengthy drive every day. So in true Hong Kong fashion I hired a driver. Naturally! In Hong Kong we all live close and work close. The office space per employee is so tight that I calculate how many people I can squeeze into lobbies or hallways when I visit European offices. We’re from a small nation and we like each other, which is a good thing – otherwise we’d need to find a larger nation!